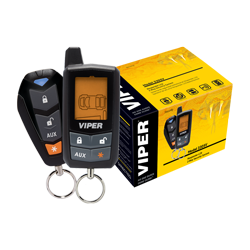 This state-of-the-art Responder LC 2-way Security system will wrap your vehicle in protection, with the most sophisticated electronic technologies available today, including the Stinger� DoubleGuard� shock sensor, Revenger� six-tone siren and Failsafe� Starter Kill. The system also offers in-demand convenience features like keyless entry. 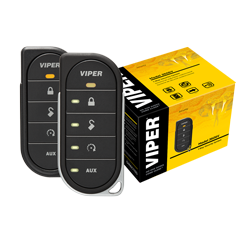 Viper is proud to introduce our most affordable 2-Way security system, which will wrap your vehicle in protection, with the most sophisticated electronic technologies available today, including the Stinger� DoubleGuard� shock sensor, Revenger� six-tone siren and Failsafe� Starter Kill. This state-of-the-art system also offers in-demand convenience feature like keyless entry. Comes with one 2-Way and one 1-Way remote. 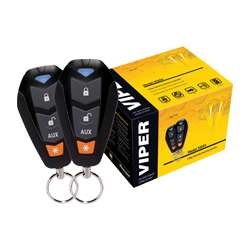 The Responder LE 2-way Security system will wrap your vehicle in protection, with the most sophisticated electronic technologies available today, including the Stinger� DoubleGuard� shock sensor, Revenger� six-tone siren and Failsafe� Starter Kill. The system also offers in-demand convenience features like keyless entry. 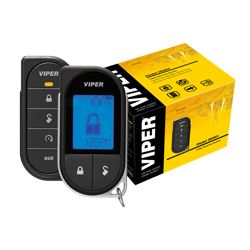 This Viper 1-Way security system will wrap your vehicle in protection, with the most sophisticated electronic technologies available today, including the Stinger� DoubleGuard� shock sensor, Revenger� six-tone siren and Failsafe� Starter Kill. This state-of-the-art system also offers in-demand convenience feature like keyless entry. 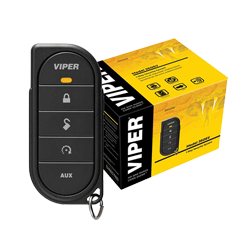 This entry level Viper security system will wrap your vehicle in protection, with the most sophisticated electronic technologies available today, including the Stinger� DoubleGuard� shock sensor, Revenger� six-tone siren and Failsafe� Starter Kill - Now featuring 4-button remotes, Control Center, and XR+ receiver. This state-of-the-art system also offers in-demand convenience feature like keyless entry.